Joining the CRKT lineup for 2015 is the Akari fixed blade, a Lucas Burnley designed knife that is attractive and practical. The Akari has an etched Ti-Nitride blade and a ray skin style Katana cord-wrapped handle. Includes an injection molded sheath with black paracord and skull bead. 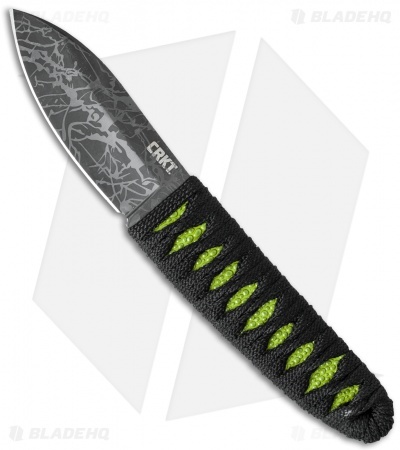 If you like the Akari, be sure to take a look at the CRKT Achi, an inverted version with the same noteworthy design appeal. Pleasantly surprised this has become one of my favorite EDC knives. 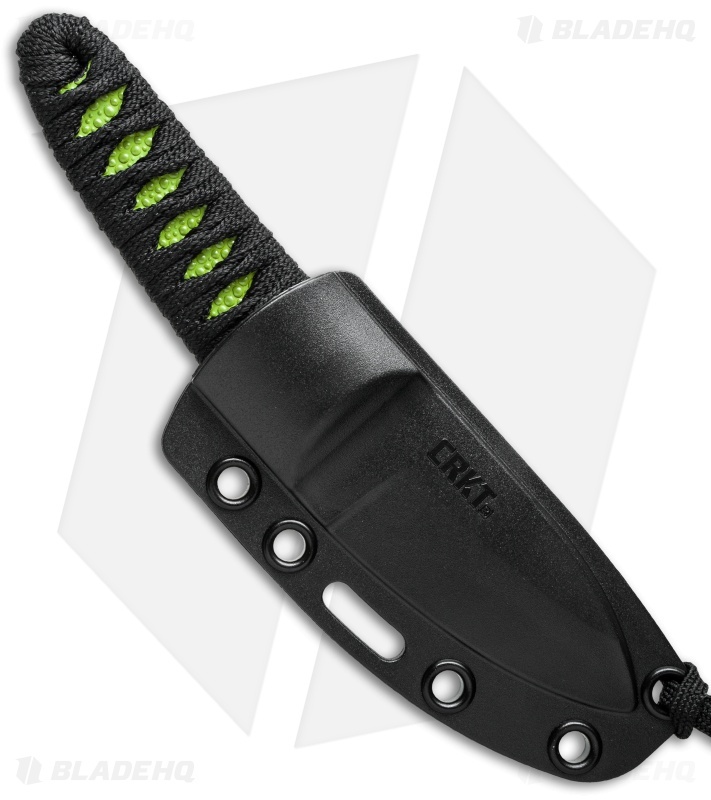 Even as a fixed blade it fits perfect hanging in my pocket all day. Comes sharp, great handle grip & popping it out of the sheath is so fun. Achi is great too depends on ur blade preference. I have both the Akari and Achi and I EDC both knives alternating each knife every other day. I attach the lanyard to my belt and slip the knife in the coin pocket of my jeans and its the perfect self defense knife, couldn’t be more satisfied! I love this knife, but when you get it, the blade comes with a stench of acid. I attribute this to the etching process they do. I actually re-ground the blade to full flat, and part of my reason was to get rid of that smell.